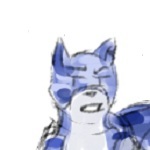 Zombie Neopets are the kind of pets who should be flat on morgue gurneys or buried six feet under the ground. They're green, pale and vein-y & often leak bodily fluids from all their orifices. I presume they even smell like rotting hamburgers that have been sitting out for a week and no one wants to go near them without thinking they'll be a good afternoon snack. But that's the glory of it all! 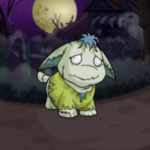 Zombie Neopets are so awesome you could care less about how scary and gross they are! In fact, you just want to dress them up! You're now probably thinking, "How can I customise my Zombie Neopet?" No need to worry! 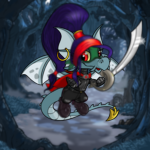 Customisers such as myself face many challenges when it comes to figuring out how we should dress our own pets. Whether your Neopet is rockin' the cutest fashions, the scariest fashions or even a mix of both! In the following context, you will see what my top ten versions are of the best wearables for Zombies (Both NP and NC). This is completely based on my own opinion and hopefully as a beginner or expert customiser, you Neopians can benefit from this article. NC – Was 200 NC; this limited edition NC Mall item was only available until November 9, 2012. Krawk, Cybunny, Poogle or Usul – this spooky background is very versatile and is perfect for every Zombie out there! The tombstones in the background add a nice personal touch to your Zombie Neopet making them even scarier. However, this background did retire not too long ago so you would need to make that extra effort by finding and making a trade via fellow NC users as you would when finding other retired items. This item is a personal favorite of mine and by purchasing this item; it will give your Zombie that cryptic look you are just dying to unravel. This is a foreground piece which means you can put it on any pet over any background and it will make your Neopet twice as scary when worn. It is currently in the NC Mall and as stated in the description of the item, the fog is pretty spooky looking. Be sure to get yours now! Estimated cost at the time of this article: 900 neopoints. This piece here is referred to as a trinket meaning all and any pet can wear them. People often buy trinkets because they believe by buying them; they are able to add that extra little oomph to their pet. At an approximate price of 900 NP, it is an affordable item for anyone who is on a budget. Estimated cost at the time of this article: 25 neopoints. Here is another trinket that comes to mind when I think of a Zombie. Yes, bones. What will make your Zombie pet scarier other than having a big ol' pile of bones sitting next to them?! By making your Zombie pet wear this, you are bound to make all other pets run and be scared for their life! At an approximate price of 25 NP, it is an extremely cheap item for any Neopian, so be sure not to pass this opportunity up. Estimated cost at the time of this article: 25,000 neopoints. If you want to surpass the term "scary", trying buying this trinket! This item sends out an obvious message and will make another great addition to your Zombie Neopet. At an approximate price of 25,000 NP, it is an affordable item for anyone who plays a couple games a day. Estimated cost at the time of this article: 97,000 neopoints. If you aren't feeling the "A Rolling Fog" foreground, try this one for a change. The skeletal hands at the bottom show the helpless victims that your Zombie Neopet has. If you do not like the animation the other foreground brings then this one is the perfect foreground for you! It is a bit on the pricey side but at the approximate cost of 97,000 NP, I'm sure any Neopian can get their hands on this if they just put their mind to it. This limited edition NC Mall item was only available until November 9, 2012. Rarity-500. If you want an even scarier Zombie, this item is definitely for you. By wearing these wings, your Zombie Neopet will one of the freakiest flying Zombie hybrids there is out there. This one is also a personal favorite of mine and I am quite sad it is retired. I love the fact that these wings are bony! Estimated cost at the time of this article: 500,000 neopoints. This item was awarded for donating 500,000 - 749,999 NP to save the Wheel of Excitement during the Save the Wheels event. 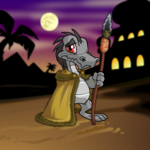 If you want to take a whole different approach when customising your Zombie Neopet, try this one. Say you aren't a fan of scary things in general; this might be that one trinket that suits your likings. It shows a skeletal hand sticking out from underground presenting a little gift. Awww, don't you wish you had a Zombie now? Estimated cost at the time of this article: 50 neopoints. Another extremely cheap item that is affordable for any Neopian. With this shovel in the background of your Zombie, it makes you question how they rose up from under their grave. Did someone help them or did they do it completely on their own? Trinkets like these make you wonder. Estimated cost at the time of this article: 100 neopoints. I saved the best for last. I think this little trinket right here justifies the definition of what being a Zombie really is. What is the main thing that Zombies crave for and eat? Yes! You guessed it! It is the one and only organ called the brain! I personally find this trinket a little humorous just because it shows a picture of a brain on a sign. Who says Zombies can't go on strike? There you have it, Neopia. Ten customisation ideas that were given in order to properly execute a fine looking Zombie. However, keep in mind there are constant releases on new backgrounds and foregrounds. The best way to find out what best works for you is to keep an open mind and to mix and match different things. 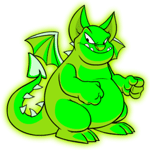 Before you know it, you will find a Zombie Neopet you are just dying to stay with! – Literally.